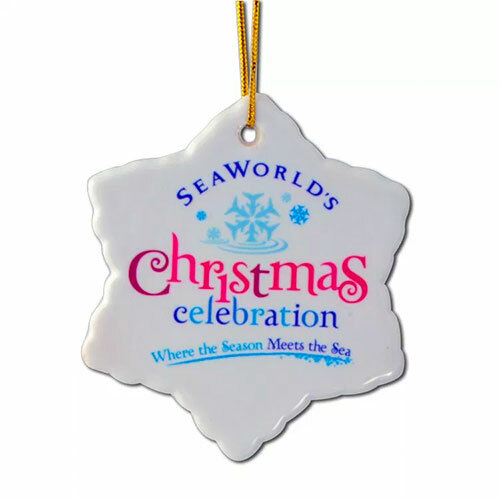 Snowflake Shape - 3" X 2 3/4" white ceramic ornament.Includes full color, full bleed imprint on one side. Optional back side imprint available. Comes standard with cord attachment.